Your toilet is clogged and has been operational for a few days now. With your busy schedule and the hefty fees that some of the plumbers or private sewerage companies may charges, you are finding it hard to resolve this problem on an urgent basis. However, there are ways to unclog your toilet without even contacting a plumber. Try to remember your grandmother’s little hacks, they might come in handy in this case. 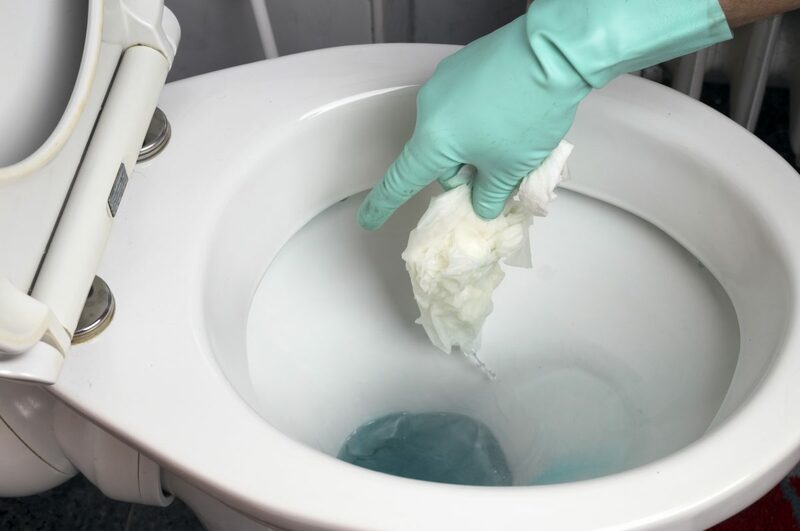 Don’t worry if you can recall any, below is a list of ways to unclog your clogged toilet. The force of gravity also applies in the case of toilets. Sometimes your toilet is clogged due to excessive toilet paper going down the drain. You can try flushing your toilet multiple times to unclog it or wait overnight until the water in the bowl can exert downward pressure to unclog you toilet. Also remember to stop the water flow if it is spilling out from the bowl. For this trick to work, you must have an extra toilet to use during this time. It would be a great idea to start with boiling some water in your nice little tea kettle and then pouring it down the drain. This might be one of the easiest tip to unclog your toilet. These two items: Vinegar and Baking Soda, mixed with water can do wonders to your clogged toilet drain. If water alone is not able to do the trick, try putting in one cup of white vinegar and a half cup of baking soda, as well as one cup of water. Make sure that the water is warm. This mixture will allow you to unclog the drain by creating bubbling action. However, you must remember that this hack might be more applicable in cases where the reason for the clogs are soap residues or toothpaste; something that can be more easily cleaned. If there is a tougher clog, you need a better hack than this one. A plunger is a great tool for removing a toilet clog. Sometimes the clog is in the sink instead of the toilet, but do not worry as the plunger will still be relevant. All you need to do is remove the drain stopper and then plunge. You can even use petroleum jelly on your plunger in order to make the process easier. As any good plumber might tell you that a clogged toilet would not unclog itself. Hence, when all these tips and tricks mentioned above fail you must know that it is the time to call a plumber. The plumber would know how to use and auger as well as the right way to reseal any leakages. Therefore, instead of leaving the clogged toilet to unclog itself and result in stink, you must call a plumber as soon as possible. Perhaps visit the nearest one in your locality or find one online to make the job quicker.